Dell announced three new interactive display products, including a 70-inch touch screen, for active learning, classrooms, and conference rooms. In many schools around the world, the chalkboard or the whiteboard are more or less standard when it comes to classroom facilities. However, Dell is hoping to change that narrative as the company has unveiled a 70-inch touchscreen display that can be used for more interactive and dynamic teaching in classrooms. 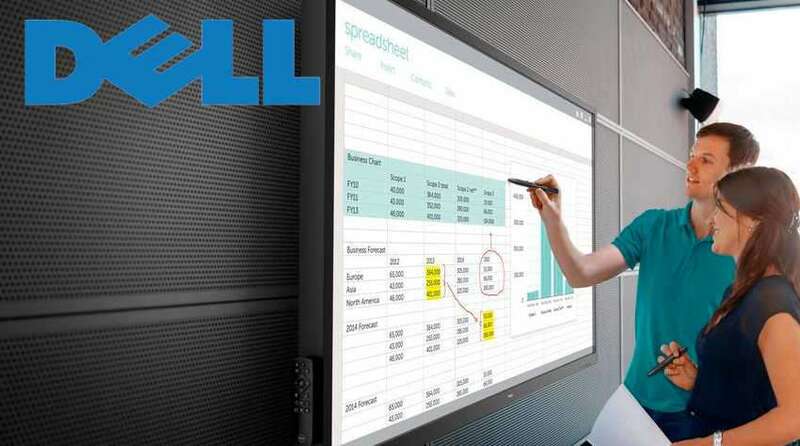 Dell designed its new interactive display to replace interactive whiteboards in schools and boardrooms, and the $5,000 display offers 1080 pixels of resolution. It can easily handle 10-finger touch and comes with two styluses. Also, the company unveiled two new interactive projectors.